Samsung advertises its Galaxy Watch, set to be released on September 7, in a new commercial, encouraging you to “Stay connected longer”. 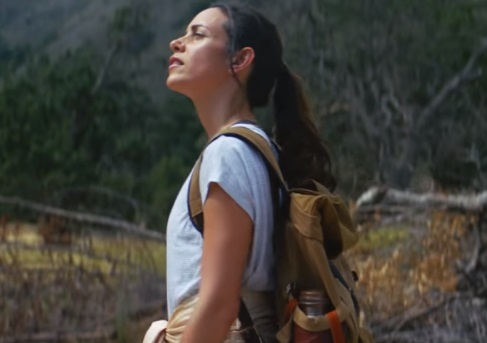 The 60-second spot follows a young woman throughout the day, as she goes on a hiking adventure and uses her Samsung Gear Watch to track speed and heart rate, take calls, text, and listen to her favorite music, all the day long, thanks to the long-lasting battery of the device. The soundtrack is the 2017 hit single “Your Song” by British singer Rita Ora, from her upcoming second studio album, due for release this fall. According to the brand, the Samsung Galaxy Watch is water resistant up to 5ATM + MIL-810G, monitors your sleep pattern, with in-depth sleep analysis, syncs your fitness and wellness data with Samsung Health seamlessly across your compatible Samsung devices, allows you to take calls and play music, thanks to its built-in speakers, and shop using it just like a contactless card with Samsung Pay. Available in Rose Gold, Midnight Black, and Silver, the Samsung Watch is priced at £279.99 in the UK.